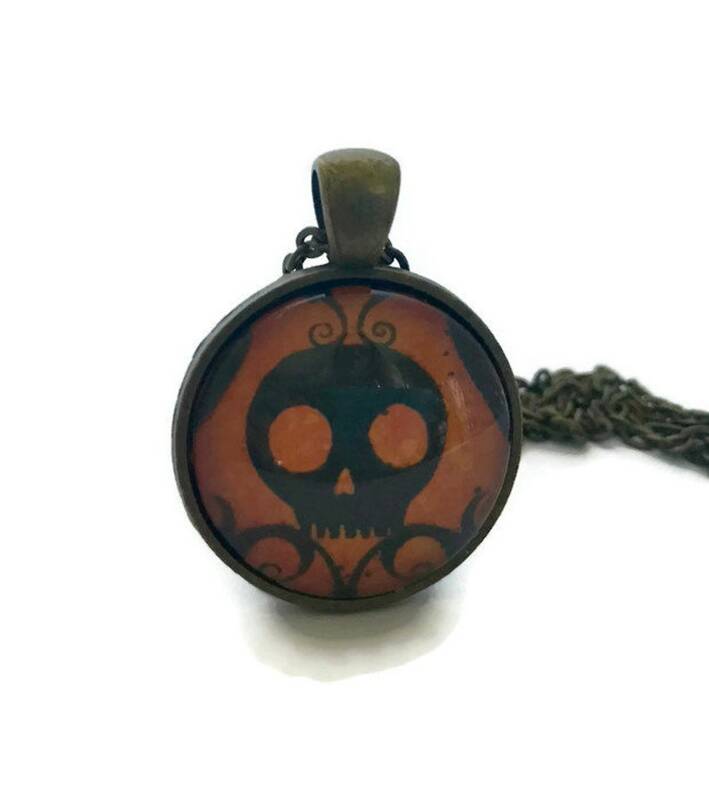 This necklace features the image of a black skull on an orange background. A fun necklace for Halloween or for those that like things a little on the dark side. The image is protected with a layer of resin and domed glass. The chain is bronze and 24" in length (which can be shortened if desired)with an easy to use lobster claw clasp. The pendant is 20mm (slightly smaller than a quarter) in diameter. Spider Venom Necklace, Goth Jewelry. Black Spider Pendant in Antiqued Bronze Setting.